← Best Adventure Tour In Costa Rica! I recently set off for a mini getaway, as requests for overnight trips to Arenal Volcano begin to spill in for high season. I decided to pay a visit to Arenal Springs Resort & Spa as my clients have been looking for a mid range accommodation with great views. From the moment we arrived for our inspection the staff was amazing. They greeted us with welcome drinks and lead us to check in, which was surprisingly quick and painless. They helped us to our room. It was perfect. The walkway arrived at a large patio with rocking chairs. The room was full of natural light. Two queen beds, large bathroom complete with a 1/2 outdoor shower. There was a mini fridge, coffee maker and flat screen tv. The best part of the room was the breath taking view of the volcano. I could have stayed here all day! Like a kid in a candy store I was torn between heading to check out the hotel spa vs the hot springs first. Tough life … I know! lol Figured I better get booked in for a little TLC so I walked down to the spa. I booked a facial and massage and then carried on down to the hot springs. Good thing I booked them for the following day as once I got in…there was no getting out of the springs. 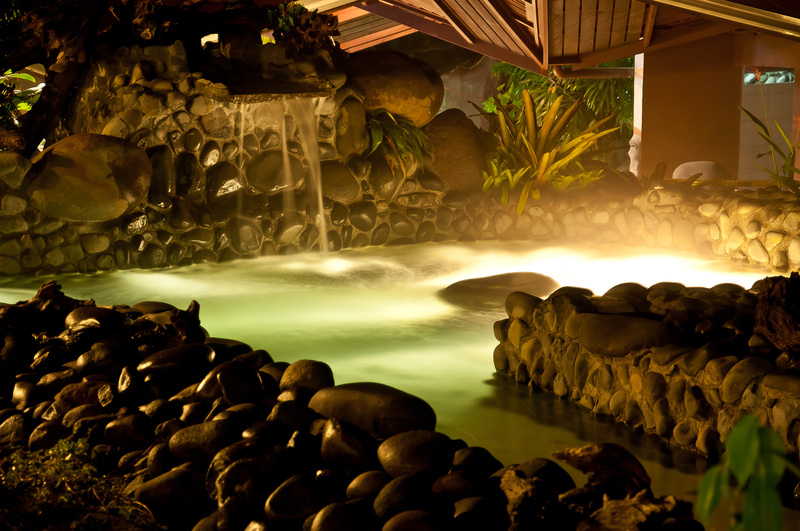 The property has their own thermal waters, so no need to head to another place to soak in the famous benefits of hot springs. They have 4 different pools, a jacuzzi, 2 cold pools including one for the kids. Now that I think about it … I didn’t see one child there. 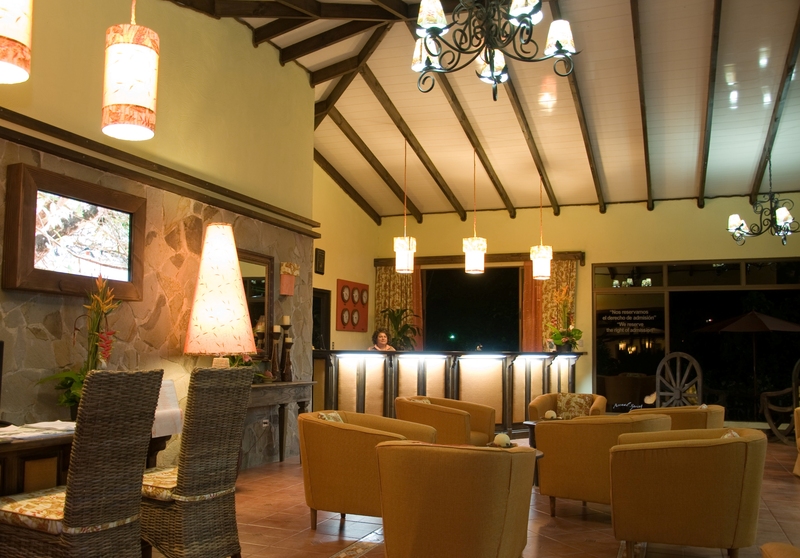 I would recommend Hotel Los Lagos for people travelling with children. There is a little more to do there for them. We finally got out to go have dinner. We found the food at the Ti-Cain restaurant at the resort pricey, but good. Breakfast was included in our stay and the buffet had something for everyone. During our couple days we also wandered out to eat a couple meals as well. The locals told me the best steak was found at Don Rufino. I’m an Albertan that has lived in Argentina so I’m pretty picky about good steak. I wasn’t impressed with Don Rufino. I usually head to Restaurante La Parada infront of the park for a good cheap meal, with plenty of people watching included. My spa treatment was great. The massage and facial lasted almost 2 hours. 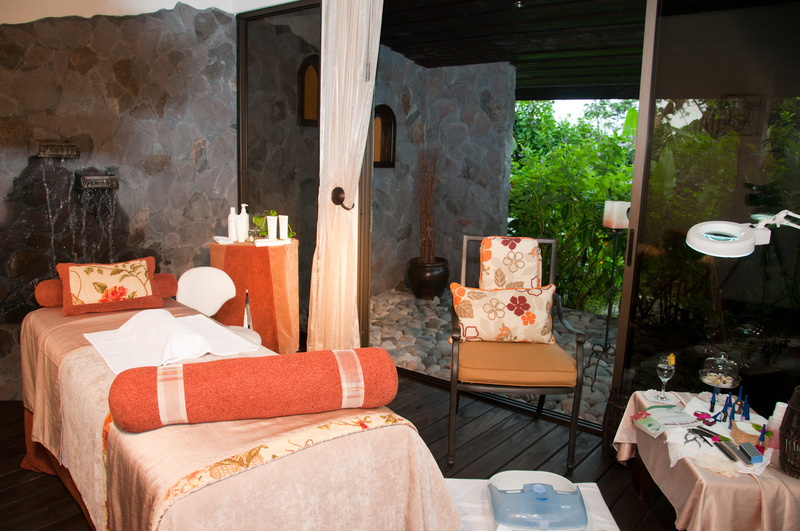 The setting is serene as the wood treatment areas are surrounded by lush gardens and a Koi pond. 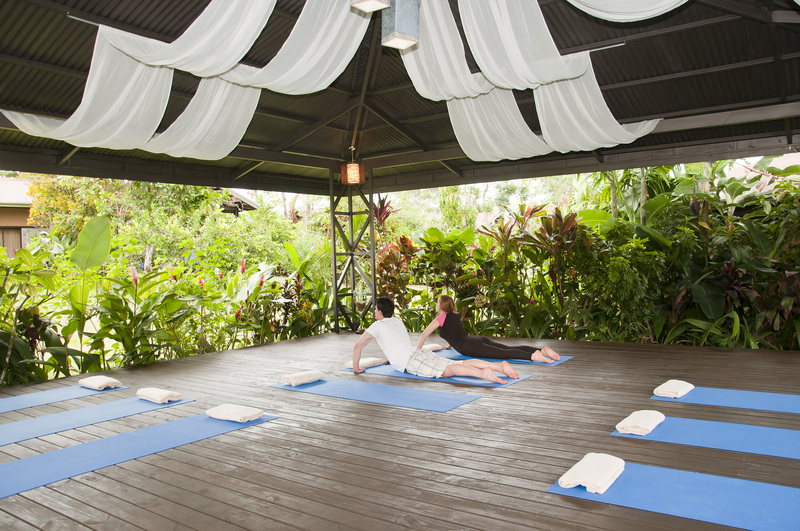 For anyone interested in doing yoga, they have a beautiful area for your practice. GORGEOUS!!! 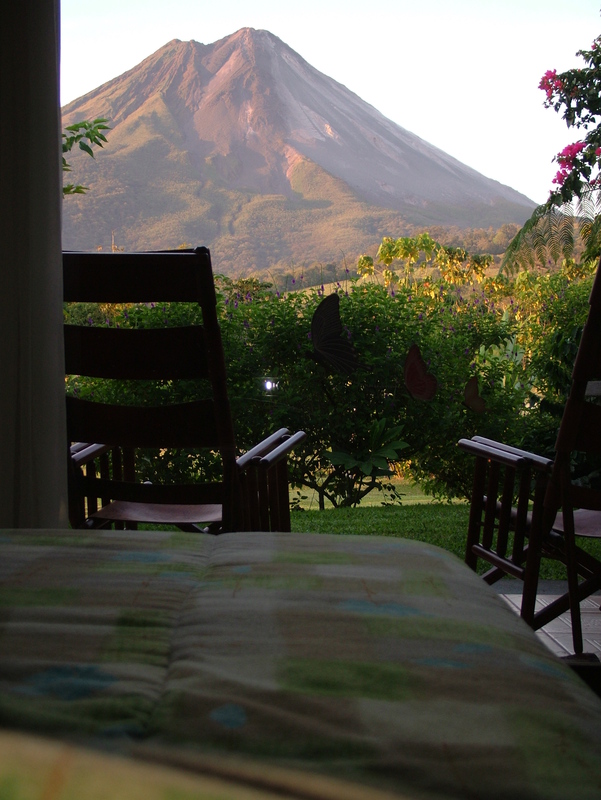 I wouldn’t hesitate to recommend Arenal Springs and Resorts to anyone looking for an overnight trip to Arenal. Great Place! Helping foreigners become somewhat functionable members of society in a third world country. Welcome to Costa Rica…my little paradise! This entry was posted in Arenal, Costa Rica, Hot Springs, La Fortuna, Mountain Hotels, Restaurants, Spa and tagged Arenal, Arenal Springs Resort & Spa, Arenal Volcano, Costa Rica, Destinations, Guanacaste, Hot Springs, La Fortuna, Relaxation, Resort, Spa, Travel, Tropics, Volcano. Bookmark the permalink. Awesome post! I want to go… how can you not want to go to this little piece of paradise? 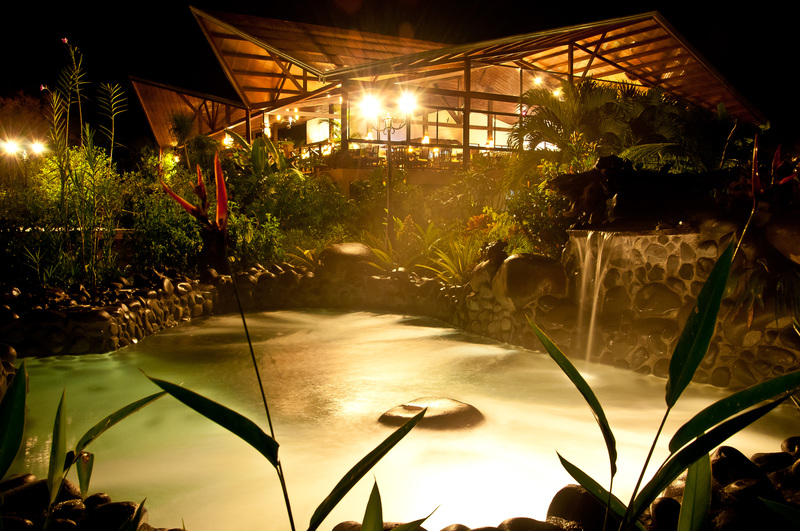 I stayed at this resort while visiting the La Fortuna/Arenal area and it was beautiful! I loved how the hot springs were part of the hotel. The only down side was a buffet dinner that was $30 per person. Other than that, we had an amazing time! Great resort! Also, I love your pictures!